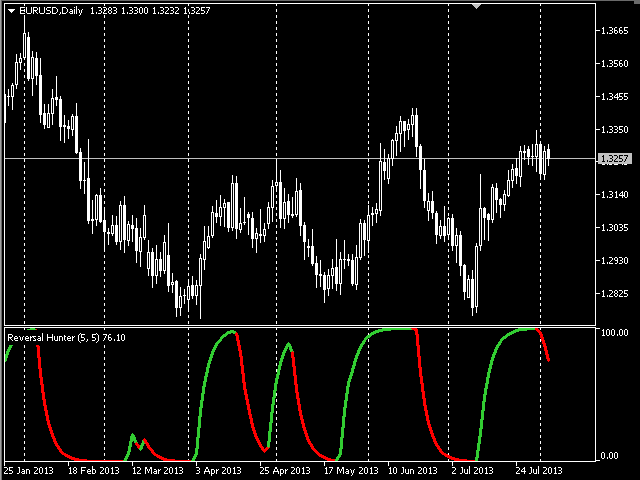 Reversal Hunter is a new leading oscillator. It monitors small changes in volume and price volatility using second derivative, thus providing an accurate prediction of trend reversals. Though Reversal Hunter shows its best results with reliable volume data (tick or real), special option of "synthetic" volume (which uses OHLC data only) is implemented to optimize performance in case of poor or missing volume data. 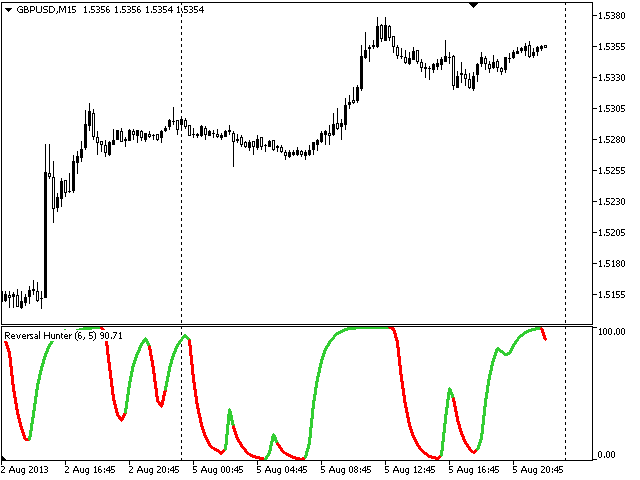 The oscillator is drawn as two-color line for easy detection of trend changes.